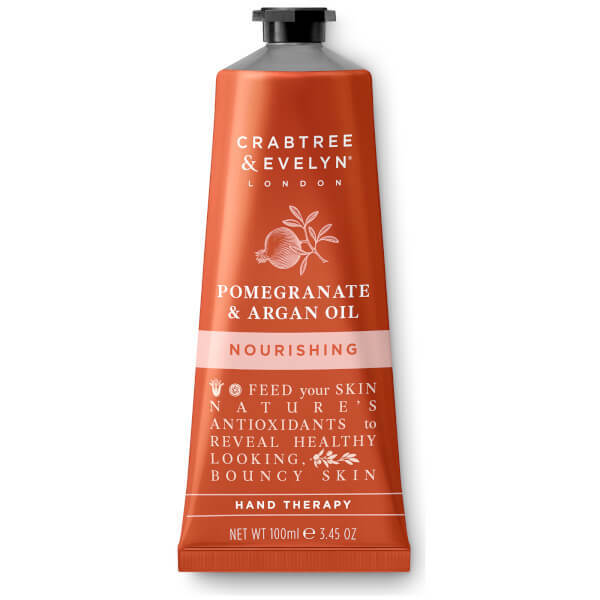 Deeply replenish dry, tired hands with the Crabtree & Evelyn Pomegranate Hand Therapy; a best-selling, award-winning treatment to alleviate any roughness and uneven textures. Based upon an emollient-rich blend of ceramides, Hyaluronic Acid and Shea Butter, the cream envelops skin with moisture and creates a protective seal, with Moroccan Argan Oil to keep skin feeling softened and supple. 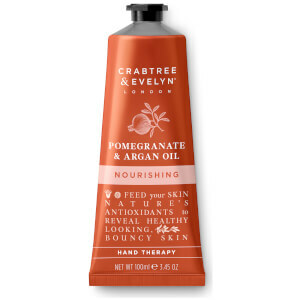 It also imparts a rich, warm fragrance of Pomegranate, Orange and sweet Fig, mingled with a spicy hint of Pepper and Ginger.